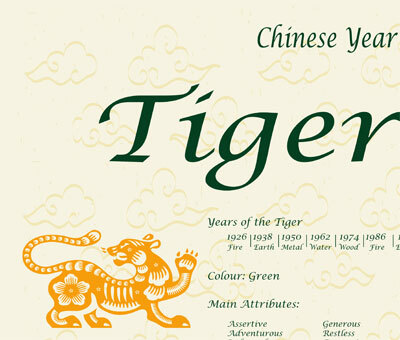 Years of the Tiger: 1926 – 1938 – 1950 – 1962 – 1974 – 1986 – 1998 – 2010. Tigers are rebels. They are both colourful and unpredictable. Their energy and love of life are stimulating. They love being the centre of attention and never go unnoticed. Tigers are impatient and always look for action. They speak their minds when upset and have suspicious natures. But in spite of their quick tempers, they are sincere, generous and very affectionate. They also possess a great sense of humour. 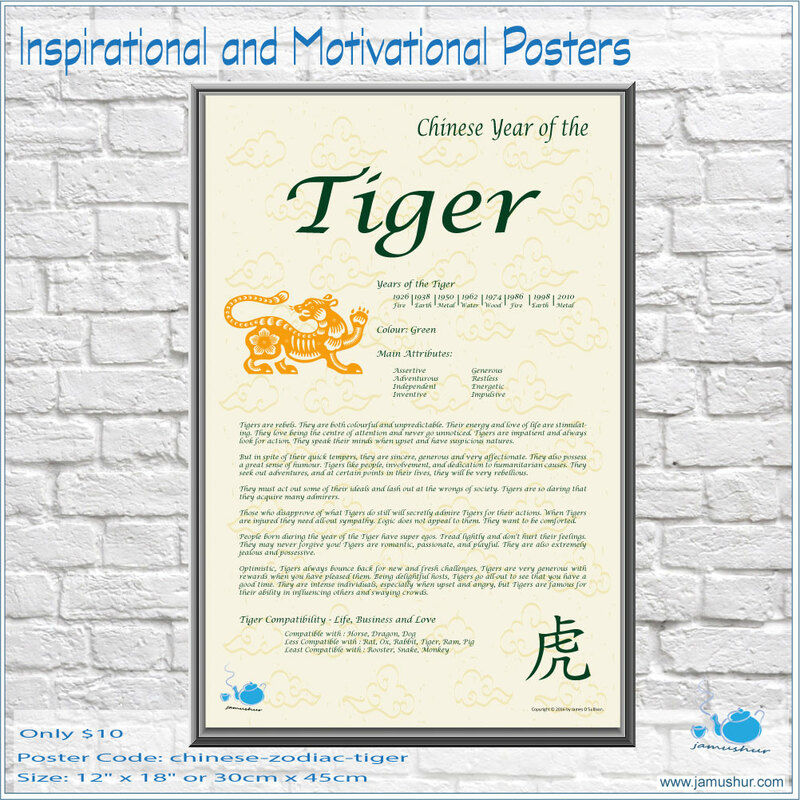 Tigers like people, involvement, and dedication to humanitarian causes. They seek out adventures, and at certain points in their lives, they will be very rebellious. They must act out some of their ideals and lash out at the wrongs of society. Tigers are so daring that they acquire many admirers. Those who disapprove of what Tigers do still will secretly admire Tigers for their actions. When Tigers are injured they need all-out sympathy. Logic does not appeal to them. They want to be comforted. 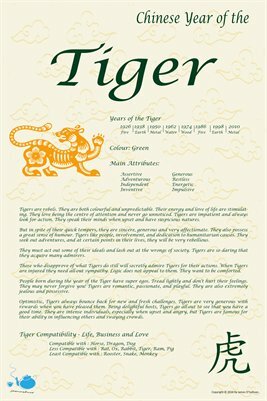 People born during the year of the Tiger have super egos. Tread lightly and don’t hurt their feelings. They may never forgive you! Tigers are romantic, passionate, and playful. They are also extremely jealous and possessive.